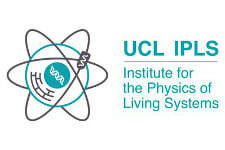 In Bart Hoogenboom's biophysics research lab at University College London (UCL), we focus on the broad question of how biological molecules interact which each other and self-organise to collectively carry out tasks that are important for health and disease. Examples of such tasks are the repair of DNA damage (important, e.g., in various cancer therapies), the perforation of cellular membranes (e.g., in bacterial attack and immune defence) and the regulation of transport into and out of the cell nucleus (exploited, e.g., by viruses and in gene therapies). We exploit the power of modern physical/chemical approaches for addressing biological/biomedical challenges at the nano-scale. These approaches include the use of reconstituted and biomimetic model systems, as well as the development and application of advanced microscopy methods, with atomic force microscopy (AFM) as our favourite tool. Given the spread and depth of expertise needed for our research, we carry out most of our work in tight collaborations with other laboratories with complementary skills. This collaborative approach is further enhanced by our participation in the following departments and institutes at University College London.